Two of my favorite glamsients, Linney and JC, surprised me last week with a visit. Linney and I are not skilled planners — we tend to err on the side of spontaneity and leisure — but JC had an entire trip planned. We started the day with a champagne brunch at my house and arrived at the South Yuba River Crossing around 1 pm. Just outside of Nevada City, I enjoyed this swimming area many times this summer for its easily accessible tranquility. 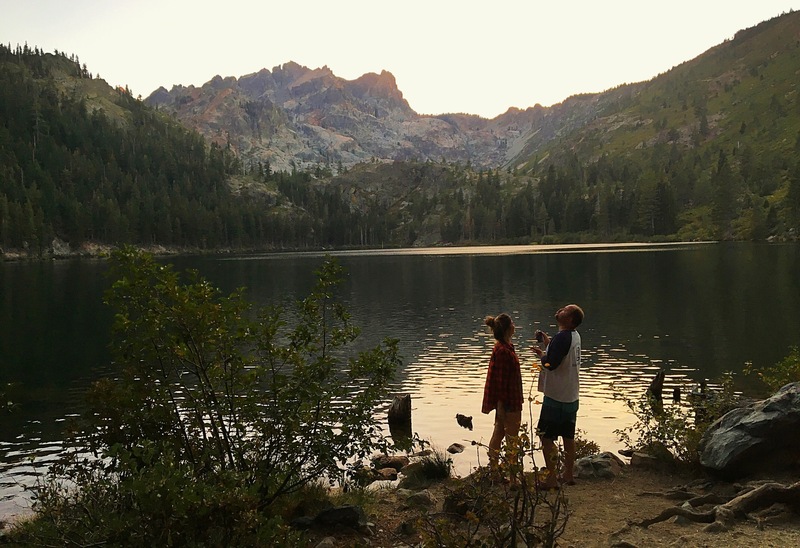 “We’ll catch sunset at an amazing lake — it’s perfect — and we can camp there. You’ll love it,” JC said. “I’m in,” Linney said as she dragged herself off a sunny rock. Pulling into Downieville, I couldn’t believe my eyes. Founded in 1849 during the California Gold Rush, old buildings with second-story wrap-around balconies and a historic sign pointing to the sheriff’s gallows sparked romantic notions of the Wild West in my mind. 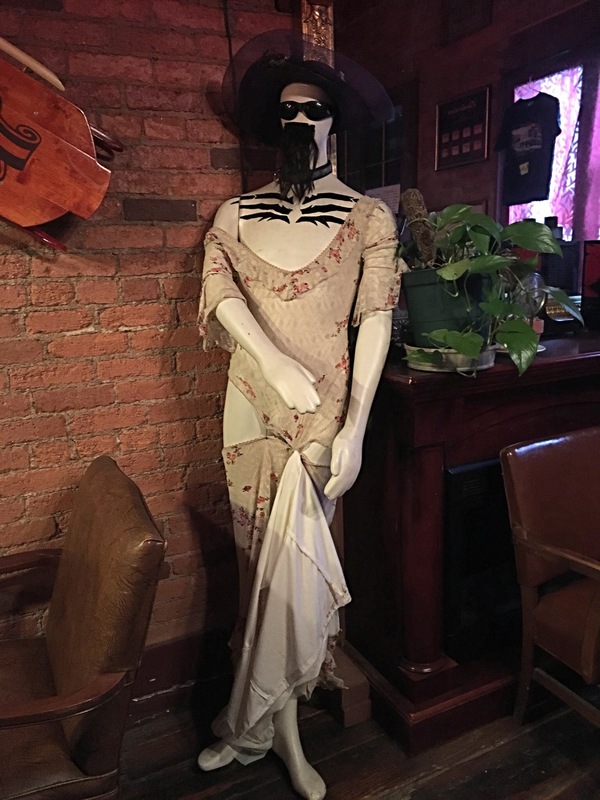 We stopped into the historic St. Charles Place saloon for a drink; I noticed a mannequin in the window dressed as a gold rush-era prostitute with a ruffled, lacy corset dress and matching hat. 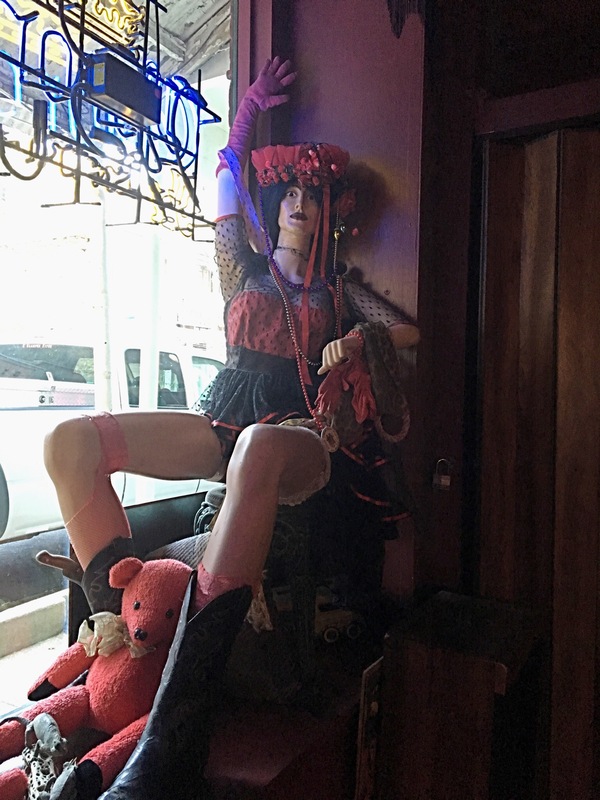 And then I saw a doll resting on deer antlers — also dressed as a prostitute — and two more dolls in another window. “Was this a brothel?” I asked the bartender, a large man with a long braided pony-tale. “Oh yes, all the bars around here were like that back then. Not many women around,” he said. “If only the walls could talk!” Jenn said. “I’m not sure I’d want to hear,” I told her discreetly. The romantic notions I felt had turned into the creeps. The back deck did not disappoint. 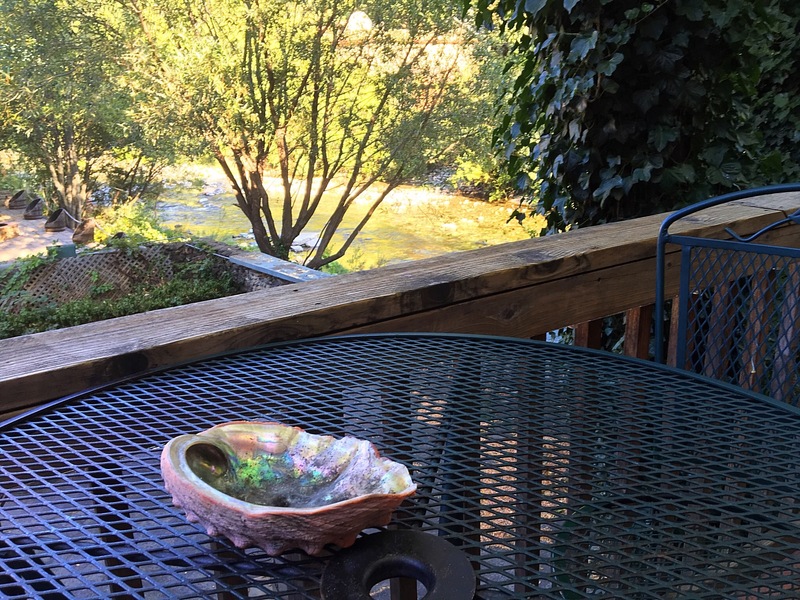 With a view of the river, we relaxed and listened to the sound of water rushing over rocks. I loved the abalone shells they used for ashtrays. 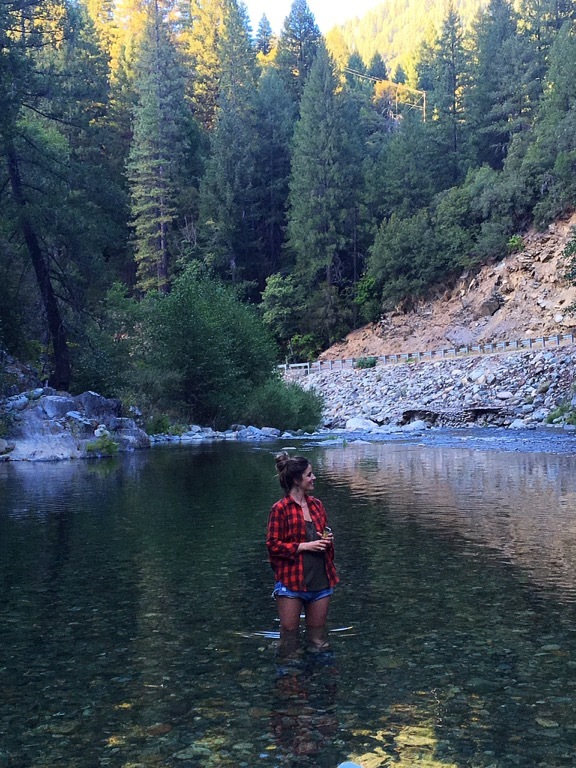 Outside of Downieville, Highway 49 carves along the river’s path below mountains, jagged cliffs and pine trees. 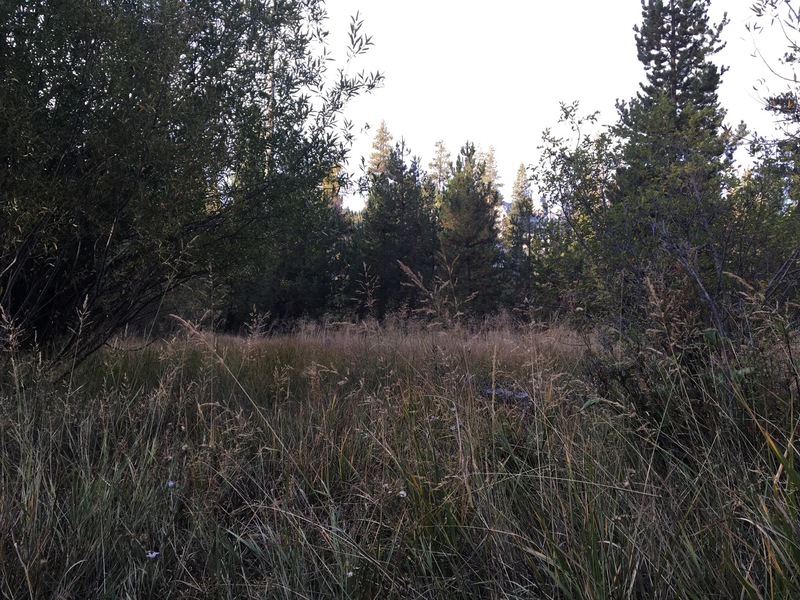 Located at nearly 6,000 feet in the Tahoe National Forest, we arrived at Sardine Lake just as the sun began to set. Serene and still, we spoke in hushed voices to keep the lake’s perfect peace. “I can’t believe we’re here alone,” Linney said. “Not even bothered by mosquitos,” I added. “I can only imagine what next summer will be like,” I said. Down the road we found a campsite at the Sardine Lake campground, which was virtually empty. 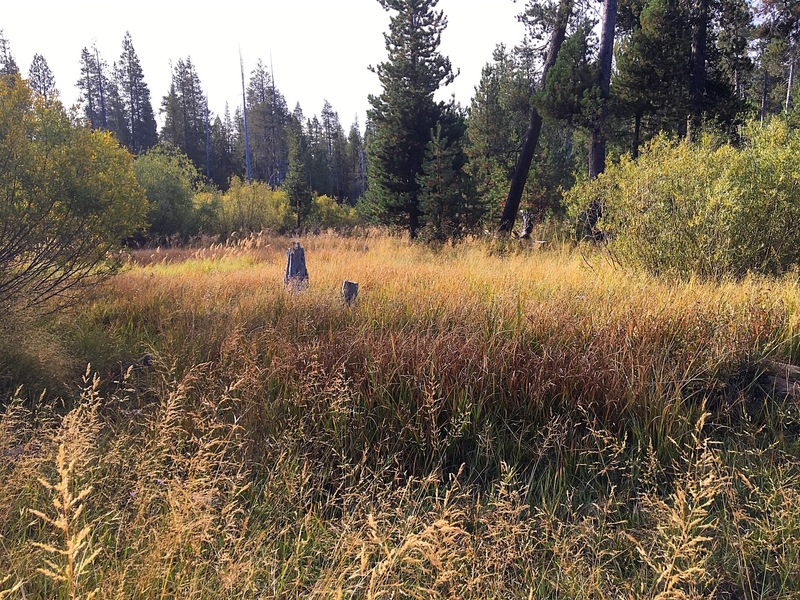 We found the perfect spot — one that backed up to a meadow. For dinner, JC made us soup and tamales. “We have the best trip planner,” I said to LInney. “He’s my glamsient mentor,” she said. We ate our dinner and walked into the meadow to look at the universe and find constellations. The night sky was filled with stars, since the waning moon had not yet risen, and as luck would have it, Linney and I saw a shooting star. For no reason that I can remember, I turned my headlamp on and pointed it into the dark meadow. “Look!” I said when I saw them, “eyes!” I kept the light on two glowing eyes about 50 feet away. They remained still, watching us. “What is it?” Linney asked. We all stepped closer together. “It just blinked!” Linney said. “The eyes are so far apart,” I whispered. “It’s either a bear or a Sasquach,” JC said. “Sasquach retired in Downiville,” Linney said. “Maybe it’s my dragon.” I turned my headlamp off, realizing I was shining it into the animal’s eyes. “No, turn it back on,” JC said. “We can’t see it if it moves,” JC said. I turned the light back on and pointed it to where the eyes had been, but they were gone. In the morning we awoke to a light sprinkling of rain. It was cold, but bundling up in a fleece and hat while drinking coffee made me feel cozy. “There’s nothing quite like drinking coffee while camping,” I said. 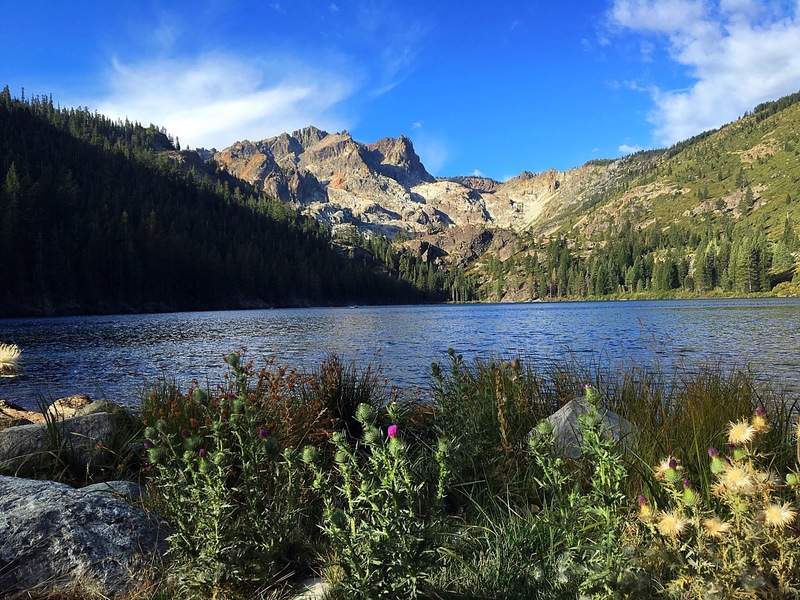 We went to Sardine Lake for another view before I had to leave my friends and get home to prepare for Symbiosis Gathering.